If the upcoming Tour de Yorkshire has piqued your interest in cycling why not come along and join Cleveland Wheelers in some of our activities? 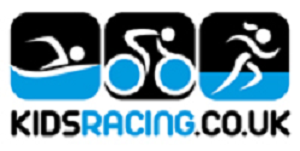 What about trying one of our social/training rides or perhaps even riding a time trial? Our social rides take place on Sundays and Tuesdays whilst the Time Trials are on Thursday. Tuesday Evening Social Rides – April 5, 12, 19, 26. Time – 6:10 pm for a 20-25 mile ride. Where – Tourist Information Centre, High Green Car Park, Great Ayton, TS9 6BJ (see map). Details – Challenge yourself and make new friends. Typically there will be three groups:- a fast group at 18/19 mph, a medium group: 16/17 mph and a steady group at 14/15 mph. The rides usually finish at the Buck Hotel. Sunday Morning Social Rides – April 10, 17 & May 8. Details – A 9:30am Fast Group riding 50-70 miles at 18/19 mph, a 9.30am Medium Group riding 40-50 miles at 16/17 mph and a 10am Steady Group riding 30-40 miles at 14/15 mph. Thursday Evening Time Trial – April 21 & 28. Time – 6.10pm for 6.45pm start. Where – Meet at the start on the road between Tame Bridge and Seamer village. Further details, including a map of the course can be found here. Details – Time Trialling is a race in which cyclists ride alone against the clock. The event takes place on open roads. All turns are left handed. Please Note – you don’t have to be a club member to take part in any of the above activities. Posted on April 1, 2016, in Evening Series, Social, Special Events, TdY. Bookmark the permalink. 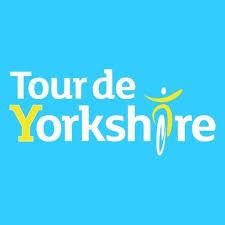 Comments Off on Tour de Yorkshire – CWCC Events Program.